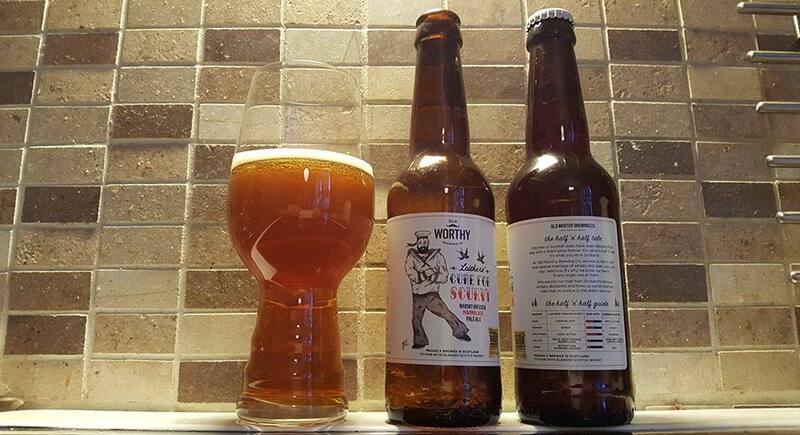 Old Worthy Leither’s Cure For Scurvy is an whisky infused marmalade pale ale by Old Worthy Brewing Co. This ale has been infused with Glen Garioch 20 year old 1993 single cask, which sounds promising. The cask was given from Master of Malt so there’s co-operation between Old Worthy and MoM. Glen Garioch was a distillery that I used to work with back in my whisky days at Morrison Bowmore, so when the fine crew at Master of Malt said yes to working with us and that they had a single cask of the Garioch to play with… well we jumped at the chance. Marc and I are always talking about how we can put twists on things that will make the whisky and beer pairing really special… we liked the idea of a marmalade pale… and it wasn’t long before we were thinking a whisky infused marmalade pale. Once we got that idea into our heads the beer just had to be brewed. This pale is based on pils, dark crystal, Vienna and terrified wheat. The hops are Admiral, Perle and First Gold. Old Worthy Cure For Scurvy whisky infused marmalade pale ale was designed to be paired with whisky. Statement is also on the bottle label: Half ‘n’ Half. Old Worthy recommends Cure For Scurvy to be paired especially with a blended Scotch whisky. Nose: Strong yeast notes and little bit of hoppy notes. Bit sweet and fruity. 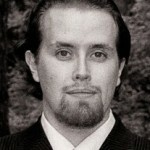 Taste: Barley with jammy sweet porridge in a medium body. Orange caramel. Very sweet and bit toasted malt notes start to rise. Taste is definetely the best part but it needs more character and thickness. Finish is quite tame, slightly bitter. Strong wood notes, which are not for my taste. I think that the whisky influence shows best in the aftertaste but I’m not sure I like it. An okay pale ale, too bad that the whisky influence is not so strong.